No one can possibly take any pleasure watching the barbaric act of another individual beheaded live across the internet. Be it perpetrated by ISIS’ leader in the Middle East or the drug lord in Latin America. As a society, we have moved beyond using those methods to kill an individual or torture his family emotionally. As Americans, it may be appropriate to rethink the hawkish approach of torturing others, even in the dark room of Guantanamo; away from the camera, away from people’s mind it is still wrong. Judging by our reaction to the beheading of our own, it is perplexing to grasp our support for the torture of others regardless of what they’ve done. The beheading of the American journalist Steven Sotloff is heart wrenching; that should be an opportunity to completely renounce the method of torturing others in the name of security. We cannot live by two different standards; it cannot be okay for us and not okay for others. It is also a terrible lesson to learn that to bully other countries do not help in the campaign against freelance terrorists. There has never been a time in history when there was no terrorist; what has changed is the way our government has been interacting with other countries across the globe. We make a list of those who are friends, those who are okay and those who are enemies. Using a forever changing list, we use countries to launch strikes against others; we bomb countries we consider our enemies and we stand on our perch in Washington and declare war power supremacy in the world. To our great dismay, our war power supremacy does not matter much; to our surprise, the world has changed and we miss that. There are outlaws everywhere in the world just like here in the United States. ISIS is nothing more than another terrorist group, now supplanting Al-Qaeda, which must be dealt with much the same way any country would deal with “society pest”. 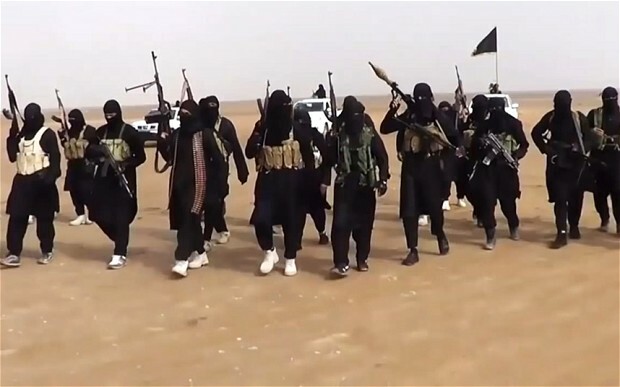 Despite the much trumpeted outcry from Washington, ISIS is a localized threat governments in the region must deal with if they wish to protect their citizens and preserve life normalcy, whatever that means for the region. I am not suggesting for US to be hands off in the matter; far from it! ISIS is a problem US cannot resolve on its own. There is talk that the Obama administration is building a “coalition” (didn’t we hear that expression before?) to counter the ISIS dilemma but it’s a difficult undertaking without Syria’s participation. While most experts don’t consider inviting Syria as part of the solution and Obama’s advisors would rather resign rather than going along with the idea, it is probably the best option to crush the ISIS movement once and for all – Iraq is already in US corner – Incidentally, US diplomats could use this opportunity to address other issues with Assad; by my calculation, Assad would be more willing to discuss alternatives today than he was a few years back. If US is serious about controlling the ISIS threat or even eliminating it alltogether, it’s time to invite all adults in the region, including Syria, to the conversation.